Stichting voor Actieve Geweldloosheid (SVAG), or Foundation for Active Nonviolence has enabled me to apply for funding from Erasmus+ by being the recipient and legal representative for Towards a Nonviolent World. The aim of the Foundation for Active Nonviolence (SVAG) is: the nonviolent promotion of a just society in which people interact in a nonviolent manner with each other and the environment. SVAG was founded in 1966, starting with promoting voluntary army service (then still obligatory in The Netherlands) and soon broadening to include Nonviolence as a way of life in their trainings. After the Cold War interest in these trainings dwindled and they focused more on research and publications. They have provided many publications and Dutch translations in the field of nonviolence and are publishing “A Handbook of Nonviolent Power for a Peaceful Society” and a web-magazine ‘Together for Peace’ (in Dutch). 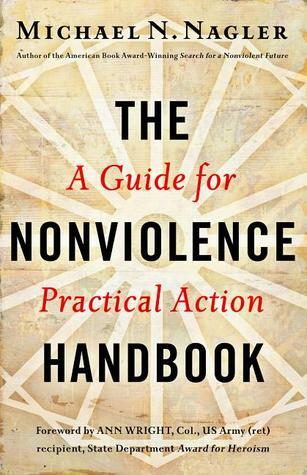 The book “Engage: Exploring Nonviolent Living“, published by Pace e Bene in 2005, has been an important inspiration of the Training Courses, as it provides some inspiring games and texts. The organization connected me to their International Coordinator Veronica Pelicaric, who guided me through the materials early 2015. In this process we developed a bond that lasted after these skype calls and then developed in co-authoring a new version of the book in 2017. We expect to publish it in 2018. Pace e Bene included me in their “Campaign Nonviolence” actions and connected me to Rivera Sun. Rivera Sun is a author and educator, and has done a lot of research to a wide range of nonviolent social movements and their methods. Inspired by historical examples, she wrote a book “The Dandelion Insurrection” that describes a fictional scenario of the USA and how activists bring back democracy by nonviolent means. The sequel of the book will be published early 2018. Rivera co-hosted a few webinars, and gave an inspirational talk for the 50th anniversary of the Foundation for Active Nonviolence on the International Day of Nonviolence (Gandhi’s birthday), October 2nd 2016. In 2009 I was accepted as a trainee at the Metta Center, to learn about nonviolence. We were offered weekly workshops and internships at different organizations in California. It was here that a new reality became visible to me: normal people successfully pursuing social justice! In my masters degree “Conflict Resolution and Governance” I had never learned about all the campaigns of Gandhi in India, the Civil Rights Movement, or a very practical tool called “Non-Violent Communication”. The program inspired me to commit to spread these ideas more widely, especially in Europe where the term “nonviolence” is not so much in use, contrary to the USA. The Metta Center has some very useful resources, such as the Road Map, or “The Nonviolence Handbook” and other books written by the founder Michael Nagler, professor emeritus at the university of Berkeley. Since the first project in 2015, there has been a collaboration with the Nonviolent Research and Education Center Istanbul (Turkey) who selected participants from Turkey for the Training Course. And Hulya Ucipinar (also active with the War Resisters International) has been involved as a trainer in London. At the Peace+ Training Course we also collaborated with two trainers from PATRIR (Romania), the Peace and Action Training and Research Institute, Andra Tanase and Alexandra Graciun. Besides that, there have been three more wonderful independent trainers involved: Annamaria Papini, who was the main organizer of the TC in London, Marcus Armstrong, peace activist and youth trainer based in the UK, and Christina DeAngelis, Family Mediation Councillor and Trainer, based in France. You can read more about all these people under the Training Courses they have been involved in!